INDUSTRY.co.id - Malang - Bank Indonesia Malang (BI) Representative Office prepares fresh cash Rp1, 5 trillion to meet the needs of the community during the school holidays, Christmas 2017 until New Year 2018. Chairman of the Payment System Team, Rupiah Currency Circulation, Service and Administration Office of the BI Representative of Malang Rini Mustikaningsih, Tuesday (26/12/2017) suggests the funds disbursed to meet the needs of the community during the 2017 and 2018 New Year's Christmas holidays, increased 14, 24 percent compared to last year. "Every long holiday and there is a certain moment of currency demand is increasing sharply, the flow of currency (outflow) in the Christmas holiday season 2017 and New Year 2018 we estimate almost reached Rp1, 5 trillion, while in the same period last year only Rp1, 24 trillion," said Rini in Malang, East Java. She estimates the increase in demand for currency, one of which is due to increased consumption of society. However, for the percentage increase in consumption cannot be ascertained because the current holiday season is still ongoing. In addition, it should also look at the data and analysis. "In addition to rising public consumption, another factor driving the increase in currency demand is Probolinggo, since November 1, 2016, it has been inaugurated by the Regional Development Bank (BPD) of East Java branch of Probolinggo," she said. Thus, continued Rini, the public banks in the Probolinggo region do not need to Malang to deposit and withdraw money, just through BPD Java in Probolinggo. Meanwhile, Head of BI Representative Office Malang Dudi Herawadi as reported by Antara estimates the amount of currency prepared by Rp1, 5 trillion was enough to meet the needs of the community during long school holidays, Christmas and New Year's requirements 2018, even months ahead. 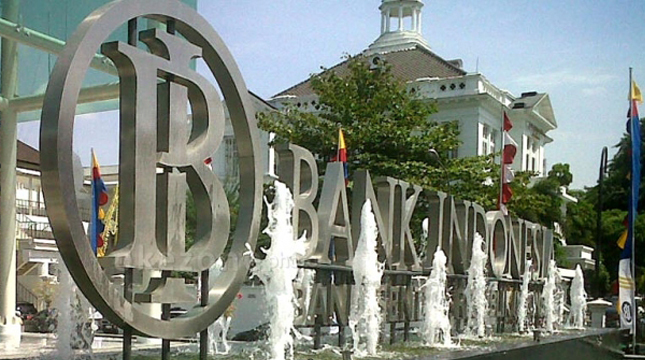 The need for bank operations in Malang, he said, averaged Rp300 billion per month, while the current fund is around Rp1.5 trillion, so it is sufficient to meet the needs of the next few months. Dudi admitted that he is ready to increase the supply of whatever the bank needs if the funds are not sufficient, including meeting the needs of currency in the long holiday Christmas and New Year 2018. However, Dudi appealed to the public to also prepare electronic money (e-money) to conduct non-cash transactions to be more efficient and more practical. "Better people who travel or shop also equip themselves with non-cash money because it is more practical and efficient," he said.